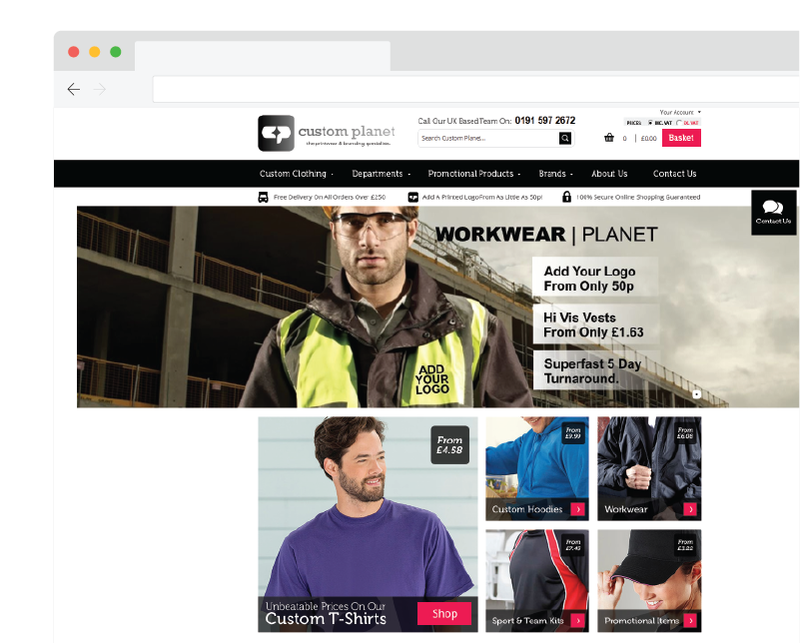 Keen to gain a competitive edge and grow their business, Custom Planet tasked our organic search team with increasing their search visibility to drive more online sales and enquiries. Increase the volume of high-quality organic traffic to the site by harnessing the full potential of a huge product catalogue. 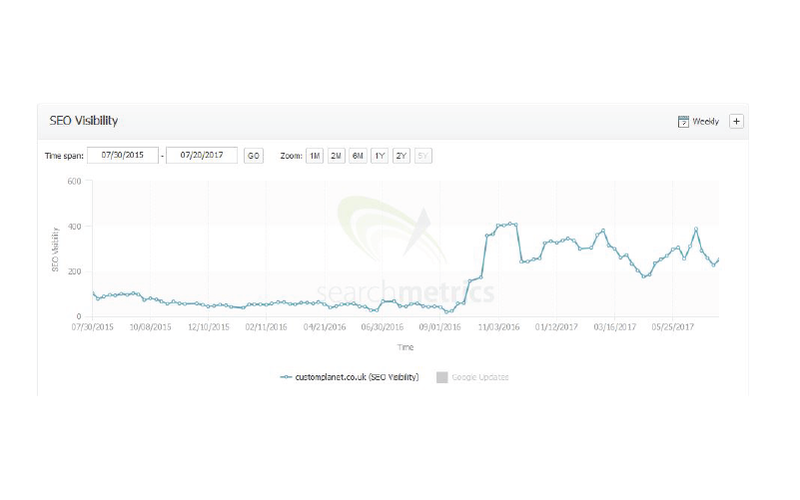 Our technical SEO team restructured the product catalogue to maximise search potential, as well as improving crawl efficiency and site speed. Our content team optimised hundreds of facet pages to establish relevancy for long-tail keywords and prevent internal keyword competition. Our outreach team built targeted links to boost authority of key commercial pages. Carefully placed editorials generated quality referral traffic. Improvements that drove more quality traffic from Google. Search visibility	Our work had an immediate and significant effect on the site's search visibility. 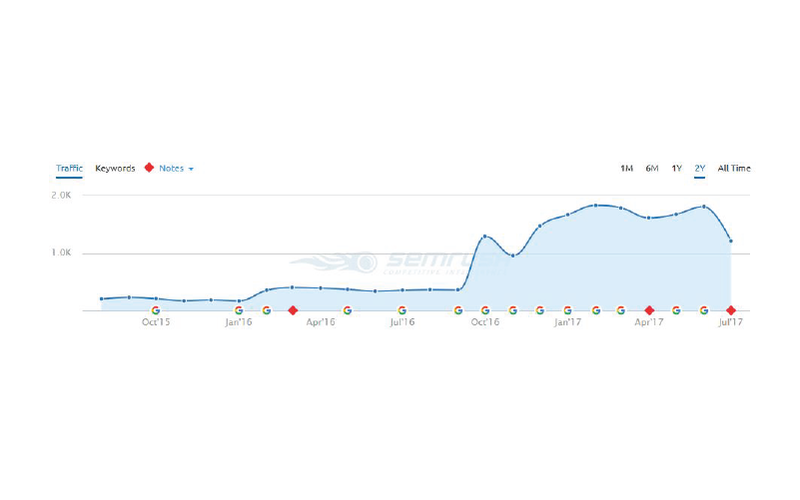 Organic traffic	The number of Google visitors has more than tripled since the campaign launch. Content creation	As well as onsite content, we created offsite content to secure link opportunities. 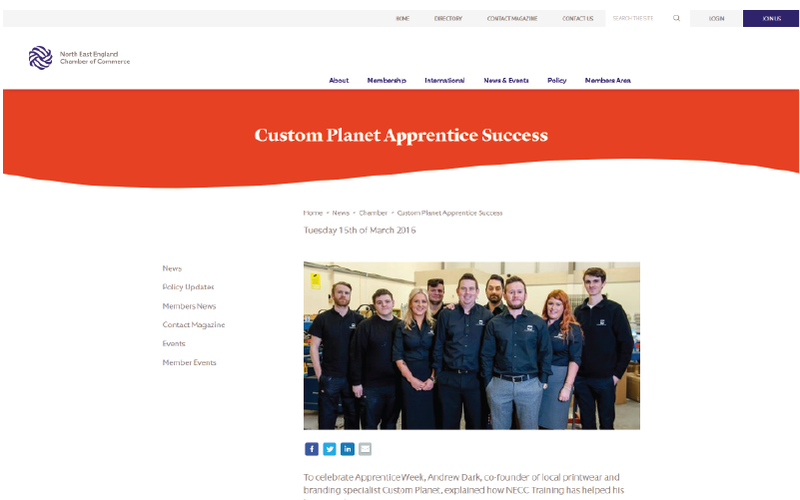 Quality exposure	Strategic outreach helps Custom Planet enjoy a competitive edge on- and offline. We're really happy with the results Glass Digital have achieved. We've just had our busiest month ever, so much so we are having to turn away business! I have the utmost trust in their recommendations and we really appreciate being able to ask questions and run things by them whenever we need. Everyone is really friendly and a pleasure to work with. WANT TO ACHIEVE RESULTS LIKE Custom Planet's? We can help your business grow online.